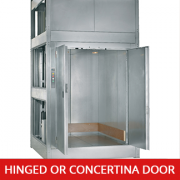 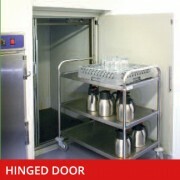 The 250CP model of Trolley lift is available in a 250kg capacity and is supplied with a concertina shutter door. 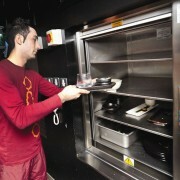 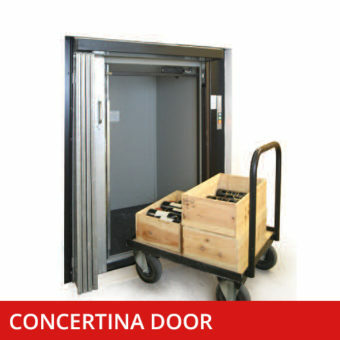 It is well suited to carrying large loads between floors and can easily be loaded at floor level. The concertina door is versatile and can be supplied if a hinged door model is not possible. 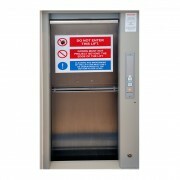 As with other 250kg models, this model from our trolley lifts range is found in many catering and industrial environments with robust finishes to suit.